Little Jeno was a blues singer and promoter, and recorded artist (1991, Rooster Blues "It ain't no Use" b/w "Don't Look Now, I got the Blues"). He was instrumental in the careers of blues musicians Big Jack Johnson, Frank Frost, Sam Carr, Lonnie Shields, James "Super Chikan" Johnson, all of whom played and toured in his traveling production "Little Jeno's All-Stars." His blues shows have appeared throughout the world. He coordinated an annual blues festival in April called "Little Jeno's Birthday Bash," which has become a favorite event in the Mississippi Delta. Little Jeno was born Jeno Leroy Tucker on April 10, 1941, in Bolton, MS. His mother taught him to play piano in the church. He picked up the harmonica at an early age and learned to play it alongside his father, Duke Tucker, who played fiddle in the juke joints of the area. When he was seven, he made a sensation by going to the Alamo Theatre in Jackson and entering the talent show there. The band leader was blues harpist Sam Meyers. Jeno decided to sing and was a hit. Sam took him under his wing, and his lead guitar player showed him how to play guitar. Later he started his first band playing guitar Jimmie Reed style. He also learned to play the saxophone. It was in the Mississippi Delta that Little Jeno's famous productions took seed. Working with blues legends Frank Frost, Sam Carr, and Big Jack Johnson he produced some of the most dazzling shows seen in modern day blues. 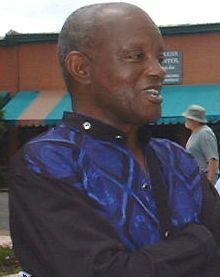 Known as "Jeno's All Stars," many of his musicians went on to lead stellar musical careers, such as Lonnie Shields, James "Super Chikan" Johnson, and others. He coordinated a popular Delta festival "Little Jeno's Birthday Bash" which takes place every April in the Clarksdale, Mississippi area. Jeno's latest production was a group of Mr. Johnnie's and Dr. Mike's graduate students, including Anthony Sherard, Charles Hooper, Lee Williams, and his son, Artrell Earl, in a band called "J.T. Express."